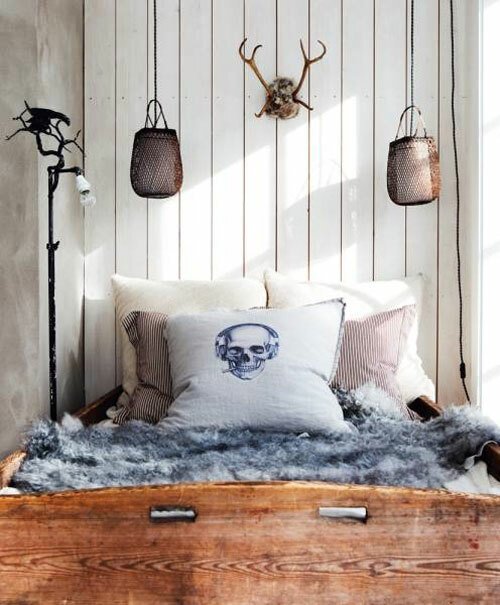 About five years ago, Hanne Borge-Yngland and her husband built this gorgeous 200 square meters ‘winter cabin’ located in the ski resort of Kvitfjell in southwestern Norway. 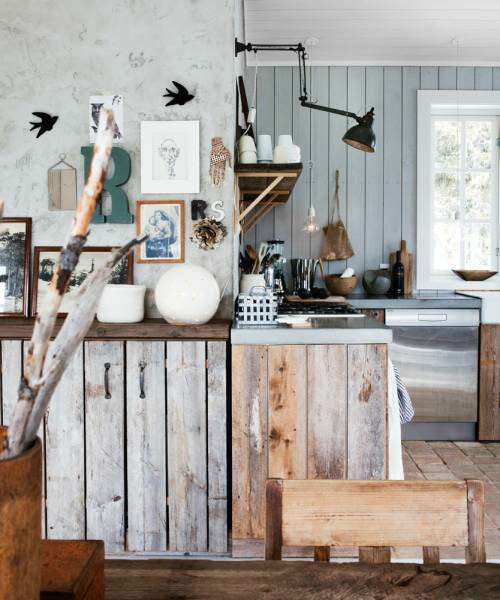 While it has a traditional shape, the cabin also has an industrial character. 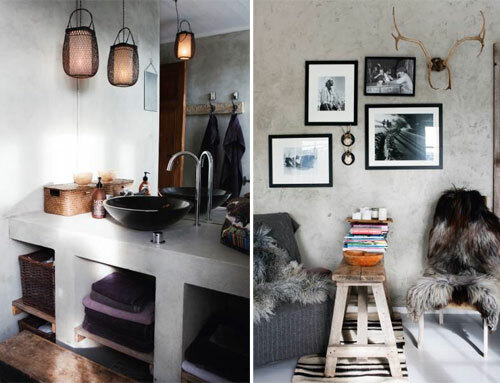 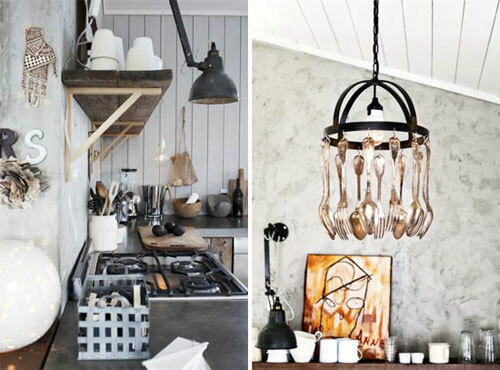 The use of raw, unprocessed materials contribute to the relaxed look & feel of the place: Concrete, reclaimed wood, industrial shelving and lamps, horns, sheep skins, etc.